In the greater part of the literature on Science Education (SE), the act of teaching is viewed as a dynamic process, which can be described through the interactions of three main factors: the content that has to be taught and learnt; the students; and the teachers (e.g. Fenstermacher 1986, Kariotoglou 2002, 2006). Of these three factors, content appeared always to constitute the stable “organizing principle” of the aforementioned process, at least within the framework of compulsory education. Correspondingly, where teachers were concerned (besides their own personal characteristics: views, beliefs, skills and so forth), what was mentioned were topics concerning teaching tools / materials, or the teaching method followed, given that the teachers appeared to decide on and mainly be interested in these (Tobin et al. 1994; Joyce et al. 1997). Finally, pupils were always the subjects undergoing the learning process, depending on the teaching theory holding sway in each instance (Duit and Treagust 1998). However, the teaching trend of constructivism, even though retaining an undeviating level of interest in the teaching and learning of scientific content (seeking the “conceptual change” mainly related to scientific content), recognised that the hypothesis that subjects / pupils constructed knowledge was crucial in organizing and analysis of the teaching-learning process. This event could be considered to shift matters that concern teaching tools and teaching methods, as well as those that concern learning, from their connection to teachers and pupils respectively, to a connection with the factor of content (pupil ideas, learning practices, transforming the content through teaching). From this viewpoint, the constructivist hypothesis destabilises content (diffusing its scientific identity) and renders the dynamics of the teaching-learning process more complex, which process could now be much more reliably described through the interactions of pupils, teachers and teaching-learning activities (Tselfes 2002, Tselfes and Moustaka 2004). In this way, pupils and teachers could be dealt with mainly as subjects who are constructing knowledge (depending on their pre-existing representations and on their role in the class social subsystem), while the teaching-learning activities incorporate an implicit element of potentially transformed content. The latter will be formulated decisively both from the teaching choices and practices of teachers and from the learning practices of students. Moreover, according to the “second generation” of cognitive scientists, what finally appears to be sought and may be achieved by the contemporary goal of scientific literacy is more related to learning “practices” than to learning content connected to scientific texts (Klenin 2006). The above rationale orients the interest of SE to social, cultural and epistemological features of the teaching procedure framework, as well as to the corresponding features of scientific knowledge which dictate the content (Solomon 1987, Kelly and Green 2006, Duit 2003, Aikenhead and Jegede 1999). Within the learning environment created in this manner, the pupil tends to be dealt with as a citizen who is being informed (or who is learning how to be informed) scientifically through a social framework of values, such as those of democracy, equality, accepting what is different and so forth (Magnusson and Palinscar 1995, Millar 1996, Millar and Osborne 1998). In this instance, the scientific content that must be learned is transformed in order to help cultivate these more general values, and thus loses its autonomy. Within this convention, the teacher should be dealt with as a knowing subject which is rethought, more or less systematically, on the basis of the teaching experience and which incorporates new ideas and practices, leading to an increase of teaching effectiveness (McIntyre 1993). This new role for the teacher leads to a plurality of teaching methods, teaching tools, materials and environments, which further destabilise the extent to which scientific content to be taught is self-dependent and place it into a form of discourse able to achieve various goals. These goals can include promoting general social values; to make unusual scientific practices everyday actions; to render pupils of a certain age able to utilise certain more or less scientific / abstract representations; to influence the attitudes and beliefs of students and teachers; and so forth. This kind of discourse is closely connected with the educational process and constitutes what we consider to form and support the idea of Pedagogical Content Knowledge (Shulman 1986, 80 Antigoni Paroussi, Vasilis Tselfes 1987, Geddis 1993, Van Driel et al. 1998) or Pedagogical Context Knowledge (Barnett and Hodson 2001). On the other hand, the development of such a form of discourse appears to be impeded by the fact that cultural and lexicographic features typical of primary scientific discourse differ substantially from corresponding features of any other discourse that can be found to a greater or lesser extent dominating an educational system (Halliday 1998, Lemke 1998, Klenin 2006, Cobern and Aikenhead 1998, Aikenhead 1996, 2001, Cobern et al. 1999). For example, we could mention a series of differences between theoretical scientific discourse and daily educational discourse in the Greek education system, differences that constitute two different cultures. Certain of these differences are mentioned in the second and third columns of Table 1. We compiled this table empirically, collating the opinions of three expert scientists by interviewing them and asking them to take a stance on the differences between their everyday culture and their professional culture and to describe the basic cultural functions (mentioned in the first column of table 1) according to Kearney (1984). From these differences it becomes obvious that the use of scientific discourse within a framework where everyday educational discourse is dominant can be expected only if pupils and teachers consciously attempt to cross the borders of their dominant culture. By Wittgenstein’s philosophical approach (Wittgenstein, 1999) according to which any discourse (including scientific discourse) is made for using it. And the meaning of words / concepts becomes comprehensible through their use and in the end is defined by this, within the framework of a «form of life», or culture (educational, scientific or other), and not within the framework of the context of a text. On the basis of the above, we became interested in investigate the quality and dynamics of the transformation which is undergone by scientific content, when knowing subjects in the learning process attempt to cross the borders and to subsume the particulars of scientific culture within another culture. We consider that such an investigation should focus on the teaching-learning activities, because it is our opinion that these can, in an explicit rather than a tacit manner, propel the subjects in the direction of crossing the borders between two different and absolutely distinct cultural systems and provide a significant degree of freedom, so that the subjects can express themselves freely and thus construct new knowledge. We assume that if these two conditions were met in a satisfactory manner, then it would be possible to construct and recognise the pedagogical content knowledge which is (occasionally) produced, as well as the features of the discourse connected to this (which may be more permanent). In a different instance, when, for example, the process of crossing borders was not clearly stated from the beginning to the subjects, teaching and learning goals can be easily derailed. We assume that this probably happens regularly when everyday empirical knowledge is considered by pupils and teachers to be “naive” and not to be valid knowledge connected to a culture that is simply different from that of science. In such an instance, scientific discourse appears univocal, superior and nonnegotiable; therefore students and teachers hesitate to attempt to use it creatively. The threat of making a mistake is far more pressing than when attempting to utilise another type of discourse (for example literary, historical, theological, but certainly not mathematical). Consequently, teachers and pupils can easily turn their attention to procedural expediting of work, rather than its creative completion. As a result, teachers, on the one hand, apply formalised traditional teaching practices in order to control the class, to cover the course material, motivate their students and so forth (Tobin et al, 1994), while students apply practices, such as Fatima’s rules (Larson 1995), in order to gain a positive evaluation. All this, either because it never occurred to them that they had to cross the borders between their local culture and that of the world of science, or because they considered it would be inconceivable to “play around” with scientific discourse which is so nonnegotiable. In the present article we attempt to study the phenomenon of pedagogical content knowledge construction and the characteristics of its discourse in student teachers involved in early childhood education, which are expressly called upon to cross the borders between two different cultural systems. Specifically, they were called upon to present scientific content related to light, utilising the expressive media of Shadow Theatre. Shadow Theatre (ST) is a theatrical art; a type of puppet theatre (Beaumont 1958, Tillis 1992). Simultaneously, it is an expression of folk creativity in a variety cultures, and has a long history (Baird 1965, Currell 1987). It is an extremely varied form cultivating language, movement, imagery, music and stagecraft. The shadows usually recount tales of human passions, or the delicate equilibrium of daily life, with irony, humour or passion. In other instances, the heroes of ST move into metaphysical realms and become one with our gods, our souls or our fears. What is typical of ST is the original way in which the image projected on the screen is read. The relationship between the light source and the outline of the figure can be used to create shadows, which depending on the way they are played (the manner in which the operator moves the figure) can be transformed, made smaller or bigger, can appear clear (in full colour and contrast) or can vibrate and disappear. At the same time, the images remind the viewer of the existence of the operator behind the boundary of the screen. However, when the shadows commence their narration, the operator ends up being part of the shadows, whether visible or not. Thus the viewer oscillates between the illusion proposed on the screen and the inaccessible reality of the shapes brought to life by the operator (Tillis 1992, Gilles 1987). ST first appeared in India and China. It reached its glory in Java and spread to Bali, Sumatra and Borneo. In Asia the ST is linked to folk tradition. Many countries, including Indonesia, India and China, still cultivate this practice, and consider ST to be part of their national cultural heritage. In the Near East its roots are Arabic. It spread to Egypt and then to Turkey, Greece and Northwest Africa. In Turkey the ST first appeared in performances related to religion. The subsequent figure of Karagioz, who corresponds with the Greek figure Karagiozis, was the protagonists in stories based on the shadow of his phallus, which was ambiguously confused with the shadow of more commonplace objects (Damianakos 1986). ST reached the West at the end of the 17th century (Magnin 1862, Jurkowski 1998). In 1767 it became known in France as “ombres chinoises” (Chinese shadows) and the art flourished in two major periods. It first became known through performances at the Serafhin Theatre and it found an artistic renaissance at the end of the 19th century, through performances at the Chat-Noir cabaret (1885). This cabaret in Montmartre was a gathering place for writers, musicians and the world of art in general. Henri Riviere appeared there and became known for the incredible perfection of his performances. These performances put shadow theatre at the forefront as a new form of Western theatrical expression. Over the Early Childhood Education Teachers between Science and Shadow Theatre same period we come across French artists who make profile portraits using shadows. These constructs are connected with the name of one of the most famous exponents of the art, Silhouette, and his name has since been used to signify outline of the body. Shadow portraits became known in England at the start of the 17th century and quickly spread to Germany. At the height of interest in these, in 1783, Jean-Gaspard Lavater presented the “portrait chair» and attempted to connect the physiognomies brought out by these portraits to human character (Paerl et al. 1979). In the “west” ST was transformed into a technical and mechanical art form when the trend for producing moving pictures began to dominate. The ritual / metaphysical Eastern character disappeared. The “priest-player” was converted to a talented operator, who used complicated ploys and mechanical interventions in order to reproduce the dramaturgy of the text with the most realistic moving image possible. Therefore the evolution of the moving picture in the direction of the cinema condemned the future of ST. Typical of this is the fact that the theatre at the “Chat Noir” closed the year of the first cinema projection by the Lumiere brothers (Jurkowski 1998, 2000). Contemporary ST in the “west” today is mostly a marginal theatrical genre without any deeply embedded tradition. Its only European heritage is a series of techniques. With this rationale it was maintained mainly as an art attached to pre-cinematic illusion, a game for children, or an art whose aim is entertaining children. Despite this, it is frequently the object of experimentation and has been known to be successful onstage. In such instances, the dominant factor is the search for original theatrical forms and creating new relationships between the viewer and the spectacle. In this instance, the ST holds a position as an innovator, on the basis of its morphology and structure. Contemporary theatre companies, including Jean Pierre Lescot’s “Compagnie Phosphen” or “L. Amoros” and “Gioco Vita” replenished their creativity from the ST’s eastern roots and are proof that this source of artistic creativity has not yet run dry. 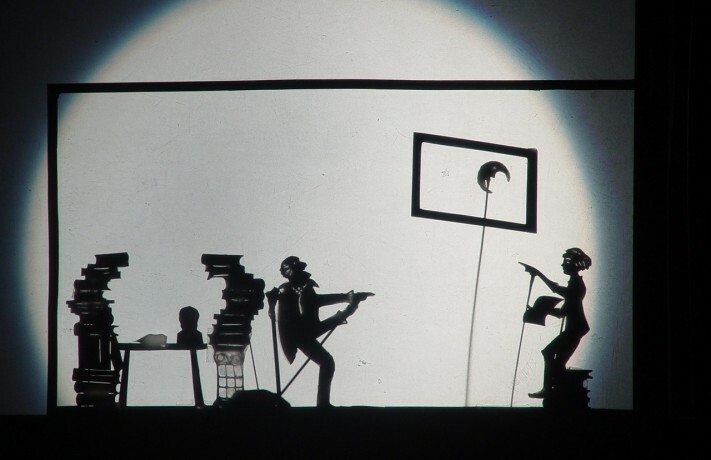 Performances of contemporary shadow theatre usually take place within the framework of festivals, and its viewers constitute a niche audience. As for traditional spectacles, these survive as tourist attractions, as objects for study by special researchers or as adapted children’s shows. ST came to Greece from Turkey. It was Hellenised by Mimaros at the start of the eighteen nineties (Damianakos 1986, Puchner 1986) and developed into one of the major and most genuine means of expression of popular or folk artistic tradition. Along the way it evolved from the Turkish Karagioz and its topics became connected with the social and political life of the country. Technological advances in the entertainment industry (cinema, television) would finally change both the topics it dealt with, and its audience. Today, a large portion of its audience is made up of children. Despite the fact that the Karagiozis figure moving behind the screen remains the same, the topics of the stories are aimed at very young audiences. Nowadays, pedagogic activities connected with the ST are based on studying its traditional forms and exploiting latter day technical capabilities and aesthetic approaches, with the goal of investigating the nature of shadows in relation to the act of theatre. This relationship is built on artistic competence, on maintaining the “magic” of the eastern ST and in the psychological / cognitive study of the audience, which is usually made of children of pre-school and early school-going age. The final goal is to make the ST a contemporary pedagogical tool (Paroussi 1999, 2000). With this rationale we consider that ST has at its disposal its own discourse in the educational world, and beyond, as well as particular features of an artistic culture. Some of these are recorded as examples (and correspond to the features of scientific and local educational culture) in the third column of Table 1. These were all recorded empirically, through interviews with three ST and puppet-theatre artists (a methodology corresponding to that also utilised for recording scientific approaches). Table 1: Characteristics of scientific, everyday and shadow theatre discourses corresponding to the cultural functions described by Kearney’s model (1994). The structure of this study In order to study the phenomenon of constructing scientific pedagogical content knowledge under conditions of crossing the borders between scientific culture and another, different culture, we sought to diffuse scientific practices and content (concerning light) within the artistic activity of ST. This choice is supported by a series of arguments / hypotheses arising both from the Greek educational background, and from pedagogical, psychological and didactical principles. The Greek Early Childhood Education Curriculum (Ministry of Education 2004) includes science issues within the framework of Environmental Studies. It does not appear that these issues can be taught successfully to children from 5 to 6 years old using the classical approaches utilised at other educational levels, since the scientific representations to a large extent are not observable and explanations are based on logical conclusion. In this instance, conceptualisation of scientific ideas appears more effectively approached in action by the proposals of the “connectionists”: connecting ideas / concepts with sensory data or with “episodes” that develop within familiar frameworks (Klein 2006). On the other hand, ST is put forward by that very Curriculum as a means to provide a theatrical education for those in early childhood education. 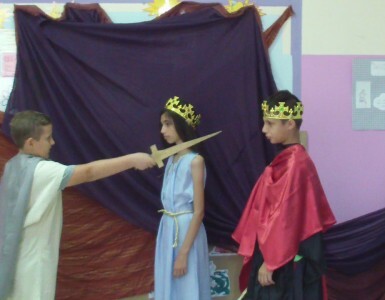 There are also examples in the literature proposing the use of theatrical expressions for teaching particular subjects (Paroussi 1999, 2000, 2004). Finally, that very Curriculum proposes a crossthematic approach to various subjects (Kouzelis 1995), as the teaching and pedagogic approach par excellence for all compulsory education (kindergarten to grade 9). Different perceptions created by the images of shadow in various communities and cultures have been studied, mainly, by anthropologists. There are, however, important childhood perceptions / convictions on the same issue, studied by various schools of psychology. When does a child recognise its own shadow? Is it shadows that cause fear in a child? For example, it appears that in order for the shadow to be recognised as part of the self it is necessary for the child to complete a series of attempts at experimentation, analysis and identifying with things (Dolci, 1993). Being conscious of having a shadow is an unstable cognitive construct. A child formulates certain knowledge, mainly through the totality of its experiences, which is not directly connected to the physical causes of this phenomenon. The traditional activity techniques of ST use practices, which handle the same entity (light) which is also the subject of scientific content. Consequently, scientific interpretations of the phenomena of light, shadow and forming images could be viewed as an alternative approach to the use and control of ST tools, in the production and handling of images in a performance. Furthermore, if we select ideas concerning light as the topic of a ST performance, we could pressure the student teachers who will set up the performance in the direction of crossing borders between scientific and theatrical culture, and observe the manner in which they succeed in representing the scientific features of physical entities and phenomena using a ST performance. We could in other words observe the features and discourse of the pedagogical content knowledge constructed by the student teachers under such circumstances. ST utilises visual representations (images) in combination with words or music. If we focus on the two representational systems, words and images, then we can say that their relationship, within the framework of ST should be such that neither one supersedes the other. In order to achieve this, training in ST initiates Early Childhood student teachers first into the aesthetics and story-crafting of the image and then into the introduction of words, as student teachers are usually more familiar with the latter. Using this rationale we could, in this specific attempt (within the framework of ST), reinforce either the visual or the verbal representation of physical entities and events. Physical entities and events, which in any case, even in science we sometimes present pictorially (with images, demonstration experiments, diagrams, schematic models, etc. ), while at other times we talk of these (in theoretical or observational terms). In this manner we could facilitate the crossing of cultural borders between the different cultures, wherever this impeded, by focusing alternatively either on speech or on images. Training in ST utilises the involvement of student teachers in building a final performance, which will take place before an audience of children and adults, to motivate learning. We consider that this teaching practice creates a satisfactory framework for learning “knowledge in use” (Tselfes 2005). In other words, we assume that under this condition (that the student teacher production will be presented to an audience), student teachers will be pressured to construct declarative and procedural knowledge, in order to: a) construct satisfactory representations of their ideas (which, in the case at hand, will have to be directly related to ideas with a scientific content), which will be judged by the adult audience; b) achieve artistic / expressive media that will satisfy children and adults alike; c) produce scripts / discourse, that will be comprehensible to children and in this manner will be pedagogically adapted. Based on the above arguments we proceeded to organise a joint single semester class (ST and SE on the topic of light) and investigated how and why scientific content concerning light is transformed by student teachers by: attempting to introduce it within the theme of a ST performance; using ST techniques; the relevant use of ST discourse; and using shadow images. Structure and content of the teaching – learning sequence. The overall duration of classes and activities was 12 six-hour blocks of time (two three-hour sessions a week) and took place over an academic semester. Additional voluntary work time was, as a rule, significant (both for lecturers and student teachers), but cannot be evaluated precisely. All 46 student teachers who participated in the class had successfully completed at least one course in SE and an introductory ST course in preceding years of study. They worked in groups that were made up gradually and voluntarily and which remained stable at a minimum for the entire duration of organising the performance. During the first stage of the course laboratory science classes were held on the theme of light, as well as application and practice classes in the techniques of ST. These classes took place separately and took up four six-hour periods. 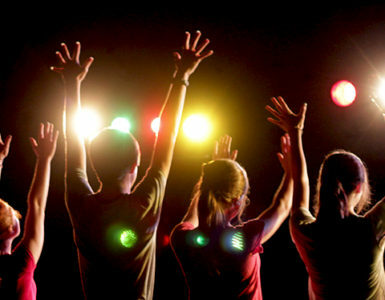 The remaining six-hour periods were taken up with activities of the groups of student teachers for the purpose of getting together a performance (5 six-hour periods), preparation (rehearsals) for the final performance (2 six-hour periods) and an evaluation of the entire course (1six-hour period). Classes, activities for getting together a performance, rehearsals and the evaluation discussion were videotaped and transcribed. The data collected were analysed in accordance with the analysis framework developed in order to accomplish an investigation of the transformation of scientific content. Artificial sources of light and light beams. In this portion topics discussed included: How does a candle produce light? What is a flame / fire? How does an electrical torch produce light? What is the structure of a beam of light produced by a candle and what is the structure of a beam of light produced by the electric torch? What evidence can we use to construct a relatively safe hypothesis on the structure of a light beam? Etc. For reasons of interpretation, we adopted a model connecting the production of light with the high temperature of the bodies emitting such light (the air around a lit candle, the resistance of the lamp, etc.). In order to describe the structure of a light beam we adopted the hypothesis that light is transmitted by rays. Constructing images / shadows. Here the issues concerned the prediction, construction and interpretation of shadow images, formed on screens, with the help of alternating combinations of artificial light sources (that produced beams with different structures), and different objects (obscure, semi-translucent, transparent, coloured, three-dimensional etc.). Here the ray model was broadened along the lines of the Al Haazen and Keppler hypotheses (postulating that light sources are constructed from a multitude of separate point sources of light each emitting light rays in all directions). Familiarization with the laser beam and studying the interactions of light with various materials with the help of a laser beam. In this instance we studied the phenomena of reflection (partial or complete), refraction, diffusion, absorption etc. Here too the interpretive procedure was based on the hypothesis that light is transmitted by rays. Formulating hypothesis as “what” and “how” we see, creating images by “optical artefacts”. Here we discussed the issue of vision (from the viewpoint of the relationship between the sensory vision and the “feeling” of recognising an image), and we constructed images on the basis of the different ways in which light interacts with specific artefacts (flat or spherical mirrors, holes, separating surfaces of transparent materials, lenses, prisms, liquid membranes etc.). In this segment, beyond the various models utilised to interpret the creation of images through rays, we also discussed both the Newtonian hypothesis on the chromatic composition of light, and the hypothesis that connects images observed with the human nervous system (the brain). All the aforementioned issues were set out in a laboratory framework and were discussed to the point where they could support the evidence presented within said framework. Hypotheses that could not be supported on the basis of the experiential evidence were not mentioned, nor were they adopted (irrespective of whether they are supported by valid scientific theories). In contrast, hypotheses which arose through this specific framework and which could not be refuted empirically were considered potential working hypotheses. The basic aim that guided this specific content management was related an attempt to liberate student teacher “trials” from the stress of “error” (Tselfes 2002) and to attempt to articulate a more or less scientific discourse. In general, the learning results were satisfactory. The models and interpretive hypotheses mentioned herein above appear, both from responses in work sheets and from discussions, to have been comprehended (they were, in other words, competently utilised) by student teachers, at least within the field of the course laboratory applications. Where the content of the ST classes was concerned, the unit initially included a series of activities that gradually familiarised student teachers with the use of light sources and the creation of shadows, within a framework of creating rudimentary story crafting. For example, student teachers were asked to create games with the use of a torch. Those presented in this instance were mainly adapted versions of classic children’s games, including “Tell me your name, say it in the light”: a game of communication or even getting acquainted, which simul- taneously allows players to become familiar with the use of a torch (players on whom the light shines have to say their name). Also presented was a variant of “musical chairs”, where the pieces of a disassembled torch played the part of the central player. Finally, quite original games were also presented, including “tag» with the light of a torch and an attempt by players to avoid the moving light beam or the shadow created by an obstacle, as each of the student teachers handled the light source. Where shadow creation was concerned, what was requested and presented were games where shadows had to be created using the body either in front or behind a screen. These games were expected to familiarise student teachers with the relationship of the light source to the images of shadows (one or more light sources, with beams of different structures, moving or still, etc. ), in order for student teachers to gain substantial control over the production of images using shadows. In this section games were presented where the student teachers sought to identify “who’s who” from the image of that person’s shadow, made clusters and attempted to guess what the image of its shadow depicted and so forth. During a second phase, student teachers practiced the making of a cut-out “figure”. Initially, they produced portraits of their own faces, commencing from a (positive or negative) outline of their shadow, which they then attempted to cut out. This technique is a reference to the history of ST and specifically to the era of shadow portraits (Paerl et al. 1979). In our instance, beyond becoming familiar with the images created by shadows, this allowed student teachers to also achieve a satisfactory artistic result irrespective of their artistic skills. These outlines then began to become more complex, and in this manner the shadowy images started to be “unshackled” from objects (Fuglsang 1980). For example, by adding a hat and a pair of glasses to the back of a head the shadow could represent something other than a face. With this reasoning, shadows of hands and other body parts or many bodies together were utilised to create shadow animals or other objects. Here too the constructs made by student teachers and the discussions recorded convincingly indicate good learning results, particularly where ST techniques and story-crafting were concerned and less so in its aesthetics. The following 5 six-hour periods of joint meetings of the student teachers with both class supervisors was a decisive and innovative segment of the course, in which a performance was put together. The encounters began with the topic of deciding on a unified theme for the performance, which would include small, connected episodes. The discussion would have to lead to a theme related to light, while at the same time could be put together on a volunteer basis and allow a number of small groups to function and work relatively independently. These limitations were imperative because of: a) a requirement for a good educational climate (groups that were made up of volunteers and voluntary participation in presenting the performance to the audience), b) ensuring (to the extent possible) the internal homogeneity of the groups (in order for the results to be methodologically referred to a “collective subject”) and c) simultaneously ensuring (to the extent possible) differentiation between the groups (so that it would be possible to present alternative approaches). Discussions led to a theme that could be described as “The History of Light”: The “birth” of light, its “voyage” and “transformations” or otherwise (using more scientific terminology) “production”, “transmission” and “interaction of light with matter”. Within this framework we created 13 groups made up of 3-4 individuals each, which undertook to find an initial individual idea (within the general theme), around which they could structure each of the linked episodes of the performance. They also undertook to write the relevant scripts, construct the materials and organise the “studying” of each episode (bound by the commitment that its length would not exceed 6-7 minutes). Most of these activities (although not in their entirety) developed in a common space and time, under the supervision of those teaching the course. The latter answered queries, proposed solutions to proposals / dilemmas, commented on the representations of the contents or the artistic result, proposed alternative solutions to pressing technical problems, but systematically avoided guiding the student teachers in the corpus of their production. The performance included the linked episodes, along with a series of literary and scientific texts connected by projecting images. These were used to link successive episodes and were constructed afterwards. At the end of the performance a short “documentary” was also presented, cobbled together from edited excerpts showing the videotaped work done by the student teachers (part of the data). The performance took place before an audience and was not connected to the grade evaluation of the student teachers (participation in this was voluntary). This decision proved to be successful as a motivator, as it led to universal participation of the students in the performance. Furthermore, we consider that it created a powerful framework of self-evaluation and post-learning awareness. The course evaluation took place after the performance and was completed in two phases. During the first phase, student teachers discussed the results and problems of their work with the lecturers. During the second phase they responded in writing within the same framework, through individual open questionnaires. The evaluation discussion was carried out along the following axes: reasons for selecting idea and topic; successful connections between the two subjects (SE and ST); difficulties that came up in the production (ST techniques, knowledge of scientific content, relations between ST techniques and scientific content, communication, cooperation and coordination in the groups and so forth) and proposals concerning what they would change if they attempted this once more. The data from the evaluation allowed us to validate a portion of the results of the overall analysis; gather information concerning the student teachers’ postlearning awareness; evaluate their familiarisation with the technologies utilised, as well as their attitude on the overall teaching-learning procedure. According to the position each episode held in the theme of the final performance and the properties of scientific content / ideas presented therein. We expected this analysis to show the broader areas of the theme of the performance (light production / birth; light transmission / voyage; or light interacting with matter / transformations) crossing borders causes significant transformations in the scientific content or limits it to specific areas. We consider that the results of this segment of the analysis were interesting from the point of view that they could show us to what extent the scientific properties of the content survive under the pressure of its artistic and public performance, or whether the student teachers’ everyday empirical ideas would win out in the end. Specifically, in the first thematic area (light production / birth) we found in the literature powerful “everyday” views of student teachers, connecting light production directly with its source, without any specific models (Driver et al. 1985, 1994). On the other hand, we came across phenomenological models in scientific theories, connecting light emission to the high temperature of the source, as well as microscopic models, which in order to be utilised functionally, require an elementary understanding of electromagnetism or of the quantum structure of matter (models that were not discussed during the preceding laboratory classes, but which student teachers had been taught during their general education). Thus the question of how and if student teachers would attempt to bridge the two categories of representations remained open. In the second area (light transmission / voyage) transmission by rays constitutes a powerful representation for student teachers, and a satisfactory macroscopic scientific theory / model. The only issue is that student teachers generally perceive rays as visible rectilinear “pieces” of light (Driver et al 1985, 1994), while physics theory deals with them as invisible geometric lines, connected with the manner of light transmission and not with its nature. Student teachers also perceive light as a diffuse entity in its transmission, somewhat akin to a fluid (Driver et al 1985, 1994). Here the question focuses on whether student teachers can move away from their pre-existing concepts to more abstract representations and to what extent. Finally, in the third area (interactions of light with matter / transformations) student teachers were aware of macroscopic scientific models, which represent the phenomena of light interactions with matter (shadow formation and generally image formation, the appearance of colours, absorption, reflection, refraction, diffusion etc.). Furthermore, student teachers also had empirical evidence concerning these phenomena, which on the one hand were discussed in the laboratory classes and on the other hand constituted the basic framework for the use of light in the ST classes. Therefore the question here mainly concerned to what extent scientific representations (under the pressure of being presented artistically) would lean more towards the models or towards experience. According to the expressive medium utilised to represent the basic theme / ideas of each episode. Specifically, analysis focused on the expressive media of words and images. This was not an easy task, since in ST expression “the objects, the motions and the speeches produce meanings that combine in different ways, and the meanings deriving from any one of them reflect on the other two. This process … is facilitated by analogy with the represented life beings; in them, the looks, the movements and the voice expressions are inseparable” (Veltrusky 1983). On the other hand, in the SE tradition we consider that our representations (concepts, models, theories etc.) are connected to objects and phenomena but have their “own life” in the context of scientific texts and speech. For the sake of the analysis in the SE context we tried to distinguish two systems of representation; the one is more connected to the words (the discourse used in the performance) and the other to the images (projected on the screen). According to this, the representations concerning light in each of the two expressive media, which were utilised or projected by student teachers, were individually located from the data on each episode. We also evaluated to what extent these were transformed compared to the corresponding scientific representations. From this analysis we expected to observe which system of representation (words or images) offers more opportunities for successful crossing of borders. We also focused on the properties of the discourse utilised. Our interest concerned both the extent to which the pressure to present / to use scientific ideas would also transform the structure of narrative discourse which is generally used in shadow theatre (Jurcowski 1990) into scientific discourse (Halliday 1998, Lemke 1998). In both these forms of discourse the events of the area of interventions / of the action are connected to the events of the area of consciousness (of ideas, representations and so forth). Here we were interested in whether the ideas or representations utilised were from the field of science, even if they were transformed, as well as if the structure of the discourse remained narrative. Specifically, we were interested in whether or not characteristics such as the following appeared: a) Was the time array of events experienced in the discourse utilised explicit (which is typical of narration), or does it remain implicit (as for example it would in a scientific argument)? b) Are there explicit epistemic relationships (confirmation, refutation, degree of certainty etc.) or do they remain in many instances implicit, as they do in narration? c) Are sentences condensed in relation to those used in the narrative model, where the subject of the narrative sentences –the narrator, a pronoun or a specific noun– is replaced by nouns (name types) that represent procedures or abstractions? According to the constructs and techniques utilised to complete each episode before it took up its position in the performance. Here we located the scientific representations that could be used to support the construct that were made, as well as the techniques utilised by the student teachers. From this analysis we expected to observe the capabilities offered in the process of crossing borders by intervention portion of student teachers’ activities. Furthermore, we expected to observe (utilising the data gathered in the evaluation process) to what extent student teachers utilised certain of these scientific representations in organising their interventions or whether they managed their interventions mainly in an empirical fashion. Several episodes (1, 2, 3, 4 and 10) were developed along themes that were somehow connected to the birth / production of light. In four of these episodes (1, 2, 3 and 4) the birth / production of light was dealt with on the basis of its appearance in the universe and in the fifth (10) it was connected with its production by an everyday artefact (a torch). Three of the episodes whose theme was connected with the appearance of light in the universe utilised ideas from myth narratives (in line with Hesiod, as well as the Orphic and Christian traditions) and in one of these the student teachers took their topic from the scientific theory of the “big bang”. Based on these data we can assert that the attempt to cross borders on the theme of light production / birth, brought forth to the narrative stage a scientific theory similar to a “great narrative of cosmogony” (one of the few explicit “great narratives” in scientific culture) and a story-crafting connected to a technological product. It appears, therefore, that topics represented in scientific theory by traditional means to a certain extent (the narrative of the “big bang”) or topics which pass into everyday usage (how a torch produces light) are topics that can be treated at the boundaries of this specific cultural encounter. We can state that topics connected purely with light transmission did not appear. Light transmission / the voyage of light appears to have played a role in four episodes / stories (5, 6, 7 and 8). In two of these (5 and 6) light is connected with the Sun (by far its most famous source), and in the end its transmission plays a role in the relationship of the Sun with the other heavenly bodies, including the Moon and the Earth. The dominant model of light transmission in these cases appears to be that of the diffuse / fluid light. The ray model appears to represent light transmission in episodes where the script operates within the framework of the interaction of light with matter (episodes 7 and 8). Overall we have to say that light transmission / the voyage of light did not appear to interest our students as an independent topic. It appeared to be of interest either as a procedure that restores a certain relationship between the “transmitter” and the “receiver” or as a procedure where the dominant important factors appear to be the “adventures” / transformations of transmitted light (from the moment of its departure from the “transmitter” to its arrival at its final destination). This evidence indicates that scientific topics based on timeless questions (such as which geometrical representation describes light transmission or what is the velocity of light) are suffocated by the narrative process. For example, we can observe that the main interesting points are the relationships between the entities / heroes in their evolution through time or their “personal” features within the framework of their relationships, but certainly not whatever autonomous properties or characteristics this relationships presents in itself (when considered as a discrete entity). The topics of light interacting with matter appear to dominate the episodes presented by the students. In reality, of course, the manner in which scientific representations of interactions functioned refers mainly to the previous finding. In most episodes the interactions of interest do not constitute the backbone of the scripts (as interactions). They appear mainly to intercede to restore relationships between the “heroes”, whose “life” and “adventures” dominate the scripts. The Sun gifts the Moon with shadows through light (5) or “embraces” Earth with its light (6) as part of a “love” story. The miserable life of a firefly changes when visited by light (9) and a shadow comes to life because of light (11). A painter constructs silhouettes using light (12) and the scientist is startled to see the insides of his body when illuminated by X Rays (13). Only in episodes 7 and 8 is light, in the form of a ray of light, the central character, and its interactions with clouds (7) or coloured films (8) change its “life”. Overall, we can state that the scientific ideas utilised as central points in developing the themes of these episodes (irrespective of transformations) lagged behind sensory entities and evidence connected with these. Of course if we consider that activities representing the “world” through scientific ideas are almost entirely absent from both classic and more contemporary didactical approaches in natural sciences, which are dominated by representations through evidence (Psillos et al. 2004), the results are not entirely disappointing. Furthermore, we consider that they indicate avenues through which certain scientific representations can break through the borders of an artistic culture and enter therein: if they can take a narrative form; if they can be connected to everyday technological products; or if they are “anthropomorphised” and “given a face” through story-crafting. In fact, we consider that the last interpretation, at least in line with early childhood education, provides a route for resolving an important problem for the teaching of science, a route that is worth investigating further. Specifically, there are important concepts in science (such as velocity, force, momentum, energy, light, exchange particles etc.) which represent (within the framework of various theories) the relationship of material entities, but do not have, however, a sensory / perception analogue in everyday language and reasoning. Providing these with a face, within the framework of theatrical expression, would perhaps allow them to be perceived intellectually in an autonomous manner and would allow them to be identified with tangible entities with which they have a simple relationship. According to our data transformations of scientific content take place when connected to the process of theatrical narrative / discourse. Specifically, various episodes are imbued with an anthropomorphic personification of natural entities (sun, earth, ray of light, torch, etc.) or the description / existence of entities which in scientific language are not considered to exist but to be abstractions or images (e.g. darkness, night, sky). However, through the discourse of these episodes, scientific representations were presented that: described in a satisfactory manner the scientific version of the life of a star (transformation of the sun into a “red giant” in episode 6); described macroscopically the “transformations” of light from its interaction with clouds and the creation of a rainbow (in episode 7); described in an entirely satisfactory manner the way light rays change colour when passing through coloured semi-transparent materials (episode 8). In this case, the fact that the colour change of the rays takes place by the process of absorption, which could result in the colour of the ray being different from that of the transparent material, is used as the climax of the episode: A red ray that “wants” to become green by passing through a green filter may be entirely absorbed / may disappear. The structure and function of an electrical lantern is described in a humorous but technologically correct fashion (episode 10). The process of shadow creation is clearly described (episode 11). Here the personification of the shadow is utilised within the course of the episode initially to discover the relationships between objects, shadow images and the light beams that create the latter, and subsequently the capacity to differentiate shadows from the shapes of objects (when selected combinations of light beams or objects are used). Additionally, in several episodes physical entities are not personified. The use of discourse, however, in theatrical expression spurs towards the existence of players. Thus, the “players” with a role in this instance include: the creator God (episode 3), where light is presented as a natural entity created by God, without particular reference to its nature or its characteristics; a narrator (episode 4), who presents the epic “birth” of light as the raw material of the universe as part of the “big bang” theory; an artist, a historically extant individual (episode 12), through whose actions there arises a more detailed representation of the creation of a shadow-image with the help of a light source (a candle). This episode also touches upon the relationship between the image and its observer; a scientist, an imaginary figure (episode 13), through whose action an anecdotal version of scientific activity is represented, as well as the relationship of invisible radiation (X rays) with the human body (which is opaque where the visible spectrum is concerned). Beyond instances of personification very few transformations of content through discourse were observed. Certain of these appear to be caused by alternative views held by students, such as a preference in connecting light with the sun, the dominant light source in everyday discourse (episodes 5, 6, 7 and 8). However, even in these instances, the alternative views are not dominant. Shadows, for example, even though connected to the objects that are lit (in episode 5, the Moon), maintain their relationship with the beam of light. Certain other transformations could be ascribed either to the “pressure” of writing a script or to a limited comprehension of the underlying theory. An example of this is the representation of the phenomenon of bio-luminance as the result of the “union” of a light beam with an insect (rather than the result of a primary emission of radiation from a biochemical reaction). From the above it appears that the discourse of ST culture asserts pressure on the scientific content mainly in the direction of personifying physical entities. This personification necessitates an essential transformation of the scientific content, which we evaluate would not be disturbing, either when used in early childhood education (where animism is considered a given and inevitable), nor when used for older children, as theatrical expression uses metaphors which the audience comprehends as such. Concerning the structure of the discourse utilised, in most episodes (1, 2, 3, 4, 5, 7, 8, 9 and 10) this was purely narrative, using specific nouns in the place of the subject of a sentence and with an explicit arrangement of events in time, without the use of scientific terms (ideas / representations) or verbs implying epistemic relationships. These sporadic events could be evaluated as successes, given the general reluctance of the student teachers to express themselves personally with a scientific structure. Transformations of scientific content appear that are connected to the theatrical image. Specifically, transformations appear wherein the representations diverge from those of science, mainly under pressure from alternative ideas held by student teachers. For example, in the background of their cosmic representations, light appeared as a diffuse entity with blue tinges towards the top and green tinges towards the bottom (episodes 1 and 5). This event brings to mind an anisotropic concept of cosmic space, tightly interwoven with the sensory data of an observer on earth. Light appears as a diffuse entity connected mainly with its source, the sun (episodes 2 and 6). Light appears to be formed of rays, which exist on the sun and start out from there (episodes 7 and 8). Light sources, in other words, are dealt with as if they were some sort of light ray “storehouses”. Transformations also appear where the representations deviate from those of science under pressure from the requirements of a script. For example, rays of light are represented by long thin figures, with straight line segments that are lit (and of limited length), or by laser spots which move in the direction of the line segments, but which can also stop when the script or the layout of the stage requires this (episodes 7, 8 and 9). In the majority of episodes, however, the image representations are faithful to the scientific content. For example: they are faithful, to the extent possible, to the “big bang” theory in order to achieve theoretically compatible image representations of the state of the universe during the first instants of its existence (episode 4); they utilise a flash to represent time “zero” for the universe, purposefully ensuring the absence of sound (episode 4); they utilise the rationale of absorption of white light by semi-transparent materials to set up the plot of an episode (episode 8); they clearly represent the shadow as the result of the relationship of light to objects, as well as the relative positions of the light source, the object and the screen (episodes 11 and 12); they utilise a gestalt image to highlight the fact that, in the end, an image is “interpreted” by the person observing it (episode 12); they utilise images from X-Rays to highlight the relationship of a shadow with the nature of the light used (X-Rays create the shadow of a skeleton in episode 13). All the above indicate that, within the framework of this specific theatrical expression, image can represent either scientific ideas or alternative ideas of the student teachers with relative ease. We therefore consider that this is clearly the more flexible system of representation, compared to words, to deal with problem of crossing borders between scientific culture and that of ST. This assertion is strengthened by the fact that images that represent the student teachers’ alternative ideas can easily be “corrected” by the course lecturers and these corrections can become comprehensible. The performances utilised techniques that could be supported by the scientific content. Specifically, the techniques of projecting images using the rationale of a shadow and in almost all the episodes, students utilised: the process of selective absorption of radiation from white light by semi-transparent coloured materials (filters) in order to construct coloured beams and images from slides or cut-out figures; the process of light absorption by materials in order to affect both the colour and the brightness of the image; changes in the distances between projector / object / screen in order to alter the size of the image; figures with volume in order to alter the outline of the image; a variety of light sources (slide projector, spotlights, powerful spotlights, candles, small lights) depending on the form of light beam that served best for the shape and the capabilities of the images they wished to present. In certain episodes, they also utilised special techniques, which we could assert were derived from the field of science. For example, they utilised many small light sources (fairy lights) to delineate the images of human bodies onto semitransparent screens (episode 2). Lighting more or fewer of these lights they could create a more clearly defined or less clearly defined image. This technique is supported by the hypothesis of image formation from a multitude of point light sources. They, also, utilised a curved-in spherical mirror to create a real image (the hand of the God in episode 3), exhausting all the procedures and capabilities of lighting and array for object, mirror and screen. Even though attempts were made to support the sum of the aforementioned techniques theoretically through scientific content, it was learned effectively and to a satisfactory standard on a practical level, without, in most instances, making any substantial connection to the underlying scientific theory. This was the case even when the images were created on the basis of the scientific content. For example, even the case of image formation with the use of a curved-in mirror, which was the result of the science classes, was learned and utilised on a practical level. This fact was further ascertained during the evaluation procedure, where the students had a hard time in justifying scientifically the functionality of the practices they utilised. They even had a hard time in locating those points where they themselves had managed to cross the borders between the two cultures, within the framework of their own interventions. This conclusion led us to convert part of the evaluation discussion to a discussion on upgrading the post-learning awareness of students, with relative success. Strong evidence has come to light indicating that scientific content can, on the one hand, function effectively within the framework of a clearly different culture (theoretical ideas concerning light functioned as central themes of ST performances), and on the other hand, that such a use transforms said content. The transformation in question cannot be attributed solely to pre-existing ideas of its users (which according to our approach are equivalent with representation of scientific ideas as these have been transformed by local culture and, within the framework of the school, educational culture). It is mainly the use imposed by the culture of ST that causes a different transformation. For example the personification of natural entities, without a doubt, does not constitute an everyday conviction or idea for our students, but a necessity derived from their use within theatrical action. Furthermore, this transformation, in all likelihood, does not mislead the viewers, as the ST culture is known to allow this sort of metaphor. The dominance of the narrative style promoted by ST culture imposed in most instances the use of scientific ideas by their representation rather than by their interpretive dimension. This is in contrast with the habit of local educational culture, where scientific ideas are utilised almost exclusively as interpretive tools for evidence collected by the senses from natural phenomena, a habit that co-exists with the diversified content which is ascribed to these, within the framework of such use. 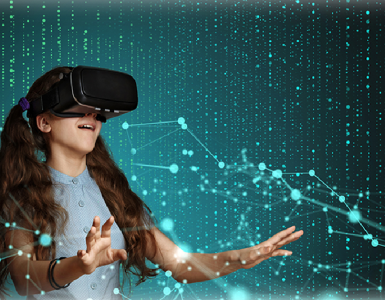 The fact that pupils, within the framework of the local educational culture, usually identify theoretical scientific ideas with tangible entities (identifying force with what they feel when they exert a force, pressure with force, weight with what their hands can “weigh”, light with a picture of dust motes lit through a slit and so forth) can be interpreted by the concept of reality that dominates within the framework of this tradition (reality is observable). Within the framework, however, of a theatrical culture they feel free to construct / represent as real, entities that are not tangible. Thus we saw the interpretive characteristics of scientific ideas (ideas concerning light absorption, the life of stars, the function of an electric lantern) functioning implicitly within the framework of scripts, where dominant features were the representational characteristics of those very ideas. Furthermore, we observed the images of entities that were not tangible, but which functioned to regulate relationships (third party entities in relation to those involved in the relationship, such as light, but also “love”). On the other hand, the dual nature of the ST theatrical activity, which is based on the dipole “observation – construction” appears, within the framework of a scientific activity managing its own dipole “theory – experiment”. Specifically, the students who formed our sample found themselves in the position of attempting to construct, behind a screen, parts of the material world which had an entirely different image on the screen itself. In this attempt, the students were equally interested in “what appears” on the screen, “how” that something that appears on the screen “ is” behind the screen, and “how it is” that something can appear to be what, in the end, it really isn’t. We consider that this activity is an analogue of the laboratory scientific activity, with which, at least according to Hacking (1992, 1995), in the laboratory scientists attempt to construct portions of the material world which produce phenomena (i.e. “appear”) whose reality (what they “are”) is constituted from entities / ideas that cannot be seen. This analogue brings the product of the laboratory activity (the final experimental array) onto the screen. Behind the screen remains the sum of laboratory life, which corresponds to the scientific interest in how scientific ideas and materials (behind the screen) can match the evidence (on the screen); the artistic interest is how one can match the ideas projected by a performance (on the screen) with its material backdrop (behind the screen). In our evaluation the third part of this analogy mainly indicates the difference between theoretical scientific and artistic endeavour. The focus of theoretical scientific endeavour includes scientific ideas, which the former can also promote. The focus of theatrical / artistic endeavour is probably mainly on “techniques”, as the ideas projected onto the screen are more or less pre-ordained. This also serves to interpret our findings regarding the techniques learned and utilised by the students. In other words, this interprets why students learned a multitude of techniques, produced new ones, but did not connect this production (interpretively or productively) with the corresponding scientific ideas. Overall, in our evaluation, the above results provide encouraging evidence supporting a continued attempt in the direction of a combined use of the two subjects, at least within the framework of pedagogical application for educationalists and children of pre-school and early school-going age. They also dictate, however, a series of differentiations, which it is worthwhile to try out. For example, our results indicate that the attempt to cross borders between science and ST, as this was accomplished, did not particularly promote the theoretical ideas that represent the entity of light, instead it mainly promoted ideas concerning its interaction with matter (transformations). We could also marginally claim that we can assume that by selecting the performance’s theme (the birth, transmission and transformations of light) we “coerced” out of it the presentation of a scientific idea about the production / birth of light (the “big bang” theory). This can be ascribed to the content of the science classes that took place before the joint classes. This content emphasised phenomena concerning the interaction of light with matter, rather than the theoretical ideas representing the entity of light or its production. Consequently, if the intervention maintained its structure, but the content of the science classes was altered (if for example in these classes we discussed ideas concerning light as derived from the history of science), then maybe the corresponding results would be different. The results indicated that successful crossing of borders was accomplished by using images. This event is justified by the fact that, either way, the powerful representational characteristic of ST is its imagery and story-crafting. In any case, the use of discourse was limited through the critique provided by the lecturers, either from the point of view of theatrical or of scientific expression. In this instance, we consider that suitable use of established texts, which are both artistic and scientific (for example Galileo’s Dialogues or Brecht’s “Life of Galileo”) could differentiate the situation (given that the use of scientific ideas in discourse interests us equally as much as their visual representation). Finally, there remains an open question as to how these productions and those who worked to produce them will interact with children in a real educational environment. Aikenhead G. (1996), Science education: border crossings into the subculture of science, Studies in Science Education, 27, pp. 1-52. Aikenhead G. (2001), Students’ ease in crossing cultural borders into school science, Science Education, 85, pp. 180-188. Aikenhead G. and Jegede O. (1999), Croos-cultural science education: a cognitive explanation ofa cultural phenomenon, Journal of Research in Science Teaching, 36, pp. 269-287. Baird B. (1965), The art of the puppet, New York: Macmillan. Barnett J. and Hodson D. (2001), Pedagogical context knowledge: toward a fuller understanding of what good science teachers know, Science Education, 85, pp. 426–453. Beaumont C. (1958), Puppets and puppetry, New York: Studio Publications. Cobern W. and Aikenhead G. (1998), Cultural aspects of learning science, in B. Fraser and K. Tobin (Εds. ), International Handbook of Science Education, pp. 39-52, The Netherlands: Kluwer Academic Publishers. Cobern W., Gibson A. and Underwood S. (1999), Conceptualisations of nature: an interpretive study of 16 ninth grader’ everyday thinking, Journal of Research in Science Teaching, 36, pp. 541-564. Damianakos S. (1986), Karagioz turc et Karagiozis grec, lectures comparatives, in S. Damianakos (Ed. ), Theatres d’ombres. Tradition et modernite, pp. 119-157, Paris: L’ Harmattan. Dolci M. (1993), Les enfants et leur ombres, in S. Damianakos (Ed. ), Theatres d’ombres. Tradition et modernite, pp. 275-283, Paris: L’ Harmattan. Driver R., Guesne E. and Tiberghien A. (Eds.) (1985), Children’s ideas in science, UK: Open University Press. Driver R., Squires, A., Rushworth P. and Wood-Robinson V. (1994), Making sense of secondary science, London: Routledge. Duit R. (2003), Conceptual change: a powerful framework for improving scince teaching and learning, International Journal of Science Education, 25, pp. 671-688. Duit R. and Treagust D. (1998), Learning in science. From behaviourism towards social constructivism and beyond, in B. Fraser and K. Tobin (Eds. ), International handbook of science education, pp. 3–26, Dordrecht, The Netherlands: Kluwer Academic Publishers. Fuglsang M. (1980), Schatten Schemen Spiel, Stuttgart: Frech. Geddis A. (1993), Transforming subject-matter knowledge: the role of pedagogical content knowledge in learning to react on teaching, International Journal of Science Education, 15, pp. 673–683. Hacking I. (1992), The Self Vindication of the Laboratory Sciences, in A. Pickering (Ed. ), Science as practice and culture, pp. 29-64, Chicago: The University Chicago. Hacking I. (1995, 11th ed), Representing and Intervening, US: Cambridge University Press. Halliday M. (1998), Things and relations: regrammaticising experience as technical knowledge, in J. Martin and R. Veel (Eds. ), Reading science: critical and functional perspectives on discourses of science,pp. 185-235, London: Routledge. Joyce B., Calboun E. and Hopkins D. (1997), Models of learning – tools for teaching, Buckingham – Philadelphia: Open University Press. Jurcowski H. (1990), The mode of existence of characters of the puppet stage, in L. Kominz and M. Levenson (Eds. ), The language of the puppet, pp. 21-36, Washington: Pacific Puppetry Center Press. Jurkowski H. (1998), A history of European Puppetry, UK: The Edwin Mellen Press. Jurkowski H. (2000), Metamorphoses, Charleville-Meziere : Institut International de la Marionnette. Kariotoglou P. (2002), From the ideal teaching method to the pedagogical content knowledge, Modern Education, pp. 123, 81-90 (in Greek). Kariotoglou P. (2006), Pedagogical content knowledge of science, Thessalonici: Grafima (in Greek). Kearney M. (1984), World view, US: Chandler and Sharp Publishers. Kelly G. and Green J. (2006), The social nature of knowing: toward a sociocultural perspective on conceptual change and knowledge construction, in B. Guzzetti and C. Hynd (Eds. ), Theoretical perspectives on conceptual change, Mahwah: Lawrence Erlbaum. Kouzelis G. (1995), The epistemological background of didactics’ choices, in H. Matsagouras (Ed. ), The development of didactics: epistemological consideration, Athens: Gutenberg (in Greek). Larson J. (1995), Fatima’s rules and other elements of an unintended chemistry curriculum, paper presented at the Annual meeting of the American Educational Research Association, San Francisco, US. Lemke J. (1998), Multiplying meaning: Visual and verbal semiotics in scientific text, in J. Martin and R. Veel (Eds. ), Reading science: critical and functional perspectives on discourses of science, pp. 87–113, London: Routledge. Magnin C. (1862), Histoire des marionnettes en Europe depuis l’antiquite jusqu’a nos jours, 2nd ed. Paris: Michel Levy Freres. Magnusson S. and Palincsar A. (1995), The learning environment as a site of science education reform, Theory into Practice, 34, pp. 43-50. McIntyre D. (1993), Theory, theorising and reflection in initial teacher education, in: J. Clderhead, and P. Gates (Eds. ), Conceptualising Reflection in Teaching Development, London: Falmer Press. Millar R. (1996), Towards a science curriculum for public understanding, School Science Review, 77, pp. 7-18. Millar R. and Osborne, J. (Eds.) (1998), Beyond 2000: science education for the future, London: King’s College. Paerl H., Botermans J. and Van Delft, P. (1979), Ombres et Silhouettes, Paris: Chene Hachette. Paroussi A. (2004), Games with the light and the shadow, in P. Chatzikamari and M. Kokkidou (Eds. ), Game in the educational process, Thessalonica: University Studio Press (in Greek). Paroussi A. (1999), The art of puppet theatre as provocation of the childe imagination. Unpablished doctoral desertation, Boulgaria: Theatrical Academy of Sofia. Paroussi A. (2000), Puppets, Puppetry (3rd ed. ), Athens: Patakis (in Greek). Psillos D., Tselfes,V. and Kariotoglou, P. (2004), An epistemological analysis of the evolution of didactical activities in teaching-learning sequences: the case of fluids, International Journal of Science Education, 26, pp. 555-578. Puchner W. (1986), Greek shadow theatre and its traditional audience: a contribution to the research of theatre audience, in S. Damianakos (Ed. ), Theatres d’ombres. Tradition et modernite, pp. 199-216, Paris: L’ Harmattan. Shulman L. (1986), Those who understand: knowledge growth in teaching, Educational Researcher, 15, pp. 4–14. Shulman L. (1987), Knowledge and teaching: foundation of the new reform, Harvard Educational Review, 57(1), pp. 1-22. Solomon J. (1987), Social influences on the construction of pupils’ understanding of science, Studies in Science Education, 14, pp. 63-82. Tobin K., Tippins D. and Gallard A. (1994), Research on instructional strategies for teaching science, in D. Gabel (Ed. ), Handbook of research on science teaching and learning, New York: Macmillan Publishing Company. Tselfes V. (2002), Trial and error: the laboratory in the teaching of sciences, Athens: Nissos (in Greek). Tselfes V. (2005), Seeking the place of ICT in the background of cognitive-educational activities, in G. Kouzelis et al. (Eds. ), Knowledge in use and new technologies, Athens: Nissos (in Greek). Tselfes V. and Moustaka, M. (2004), About the nature of science to be taught in the preschool and first school age, Science Teaching – Research and Practice, 7, pp. 12-21 (in Greek). Van Driel J., Verloop N. and De Vos W. (1998), Developing science teachers’ pedagogical content knowledge, Journal of Research in Science Teaching, 35, pp. 673–695. Veltrusky J. (1983), Puppetry and acting, Semiotica, 47, pp. 69-122. Wittgenstein L. (1999), Philosophical Investigations, tr. by G. Anscombe, UK: Prentice Hall.